Below, you'll find a list of the female Pixie Bobs in our breeding program. It is also noted just below each Pixie Bob whether she is expecting a litter or has a litter of Pixie Bob kittens already. Each Pixie Bob has a page devoted just to them to enable you to get to know them. 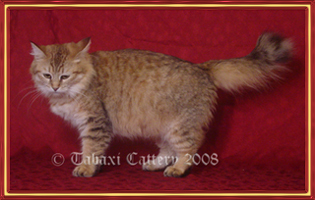 To learn more about our female Pixie Bob breeders, click on either the name or the picture of the Pixie Bob you would like to know more about. You can also check if we have Pixie Bob kittens for sale.